Outrageous side effects in drugs that "help" you. Among a study of more than 260,000 individuals a link has been found between depression and soft drinks. In 1995-96 these 260,000 between the ages of 50 and 71 were tracked on their consumption of soda, sweetened tea, coffee, and other soft drinks. Ten years later they were asked if they had been diagnosed with depression since the year 2000. Over 11,300 had been. What’s intriguing here is that the go to culprit, Sugar, is believed to be innocent, at least for the most part. Instead researchers believe artificial sweeteners used in these drinks are the ones to blame. Those that drank four or more sodas per day were 30% more likely to develop depression. Those that stuck with fruit punch actually had a 38% chance to develop depression (artificial sweeteners.) However, there is some light at the end of this depressing tunnel. For those that need that caffeine kick in the morning and drank coffee had a 10% lower risk to develop depression. Though this is an interesting study, it’s not confirmed and is only preliminary. So cutting back on these beverages doesn’t mean you’ll cure your depression. When some people are depressed they often rely on prescription drugs to get them out of bed and make them feel happier overall. One side effect of depression is erectile dysfunction and no man ever feels great when that occurs. However, Pfizer has made an antidepressant called Zoloft, to help combat depression and make you your fun, sappy self again. Which could mean, no more ED. But one unusual side effect of Zoloft is painful erection. Unlike Viagra, it doesn’t help get you erect, or help improve your stamina. It instead makes your erection potentially painful. And some patients have described these erections as “unbearable”. So, aspiring male adult actors, if you’re depressed, Zoloft is not for you. 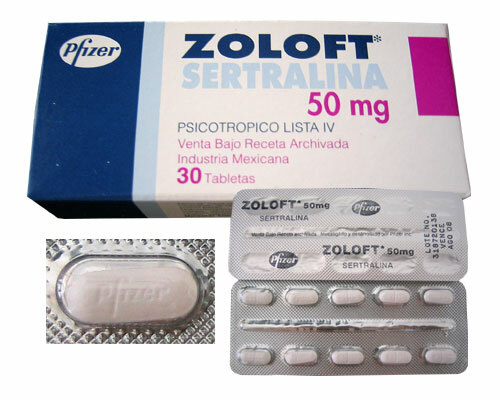 Zoloft is a prescription antidepressant drug prescribed to patients with severe depression.